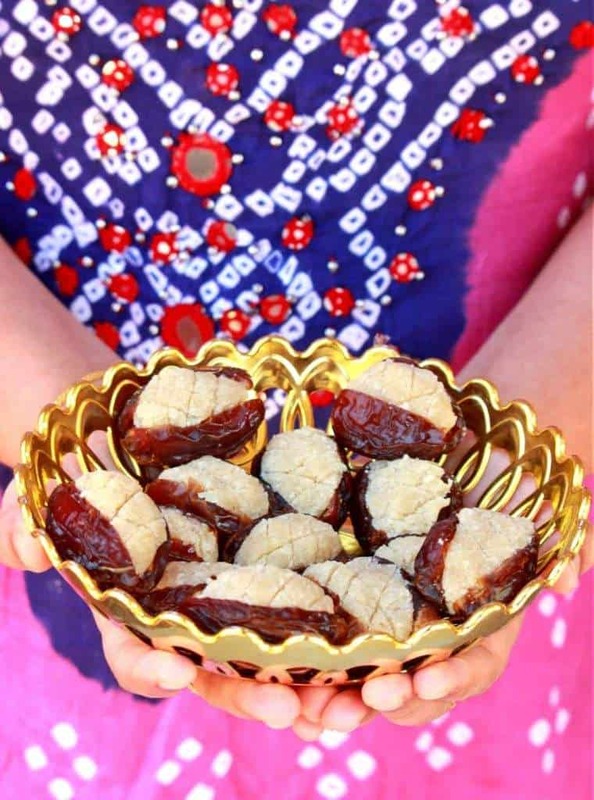 Moroccan Stuffed Dates and very popular dessert during the Ramadan Season. We are almost towards the end of the year and we just have 2 more weeks to get through. 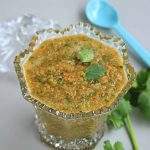 This week I will be blogging all about Moroccan cuisine and I have made 3 great recipes for the theme. 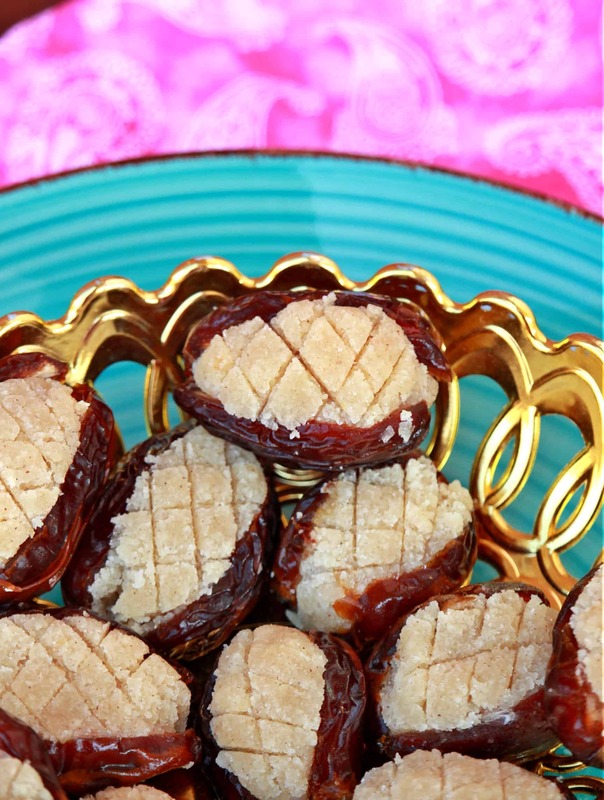 Starting the theme on the sweet note, these Moroccan Stuffed Date is my first recipe. 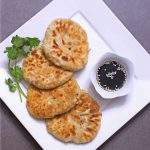 Moroccan cuisine is influenced by Arab, Mediterranean and some European flavors. 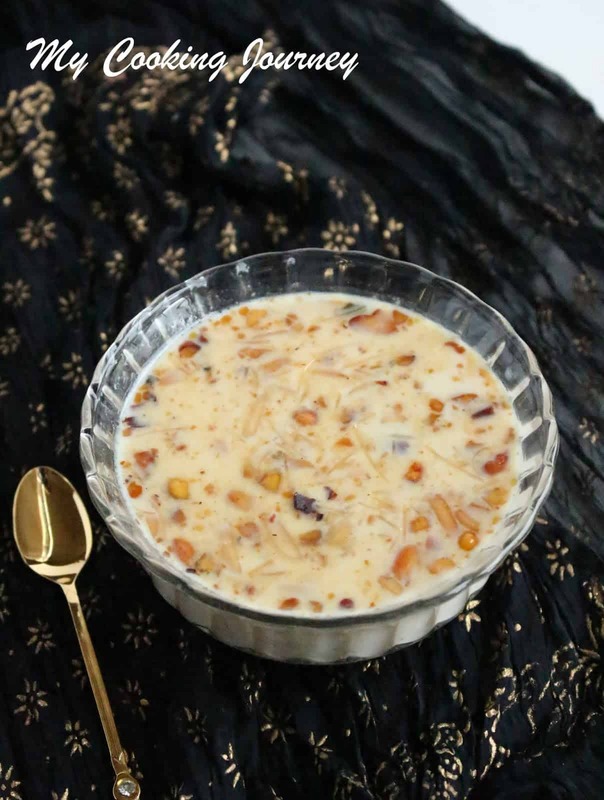 This recipe is a very popular dessert made during the Ramadan season. The Moroccan stuffed dates are so quick to make and it is delicious. My husband is a big fan of Arabic desserts and we buy a lot of them when we travel through the Arabic countries. we have bought different kinds of desserts made with dates and when I read about this particular recipe, I knew that he would love it. I can categorize this dessert into ‘no cook’ recipes as there is not cooking or baking involved. I just boiled some water to soak the almonds to make it faster and other than that, all I needed was my food processor (got to love these gadgets). Dates are very healthy, but highly underrated in my family. My younger one thinks that dates are disgusting. 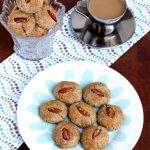 Keeping him in mind, I made this recipe, hoping the mildly sweet almond filling would make him eat a couple of dates. He saw the stuffed dates and picked up one. He looked at it all around and asked if he could just eat the white part. I said the he has to eat the whole thing and not just the filling. He took a small bite and made faces. Then took another bite and said it was alright except for the dates covering. He asked if I could have used something else other than the dates. When I said that it is very popular and is made this way, he just listened to the story and ate the whole piece. He mentioned that he somewhat likes it and just because I made it for him, he would eat another one the next day. I was doing a little happy dance in my head and felt like I conquered a battle. My husband and older one are totally on the other side of spectrum. They loved the stuffed dates and are all praise for it. 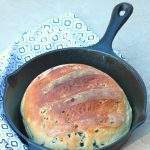 This being the Holiday season, this could be a great edible gift for family and friends. Make sure that you use good quality dates. 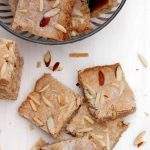 I have used a bit of rose water in my almond paste. You could use orange blossom water, or lemon zest to flavor yours or just leave it as is. Boil water and add the almonds to the boiling water. Let it boil for a minute or two and then turn off the flame and cover the pan. 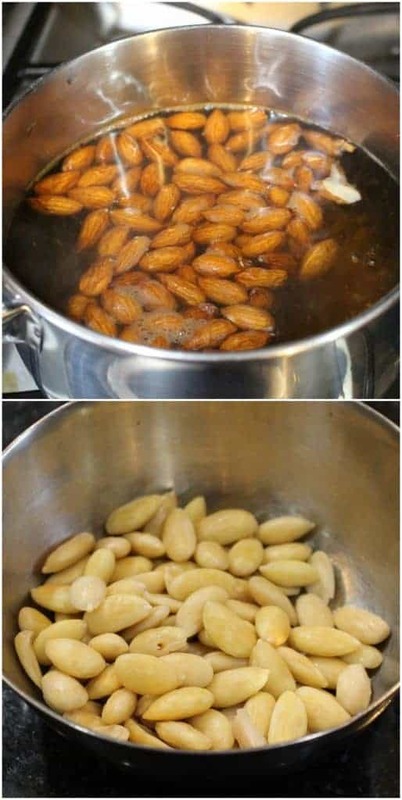 Let the almonds sit for about 30 minutes and then remove the skin. The skin should come off very easily by now. If not let them sit for few more minutes. Place the peeled almonds in the jar of the food processor. Run the machine for few seconds until the almonds become crumble. Add the sugar and process it until it becomes grainy. Now add the melted butter and the rose water and run the machine until it becomes a paste. If the dates are not pitted, carefully slice them on one side and remove the pit. Do this with all the dates. Take a piece of almond paste (as much as what can fit inside the almonds) and roll it into a cylinder. Stuff this into the dates and spread it around to fill the entire date. Repeat this with all the dates and the almond filling. I made a little pattern on my almond filling with a sharp knife to make it look pretty. Arrange it on a serving platter and serve. 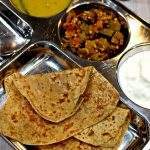 What an interesting dish and so beautifully done Sandhya. It’s always a wonder when I read about your boys eating and enjoying all the different food you make. Very heartening!.. 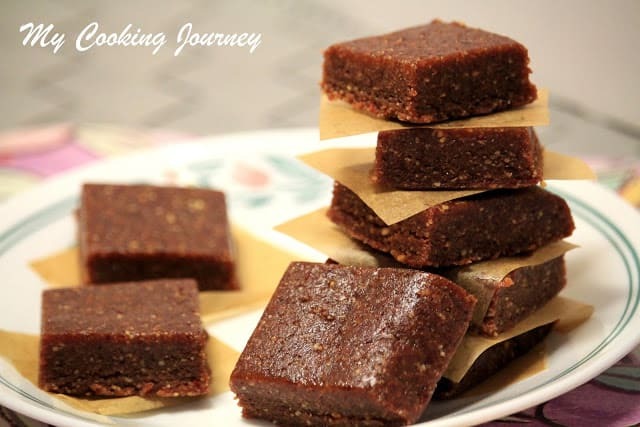 Amazing , these buttered almond dates taste awesome , I had made these for one of the marathons and they were a hit . 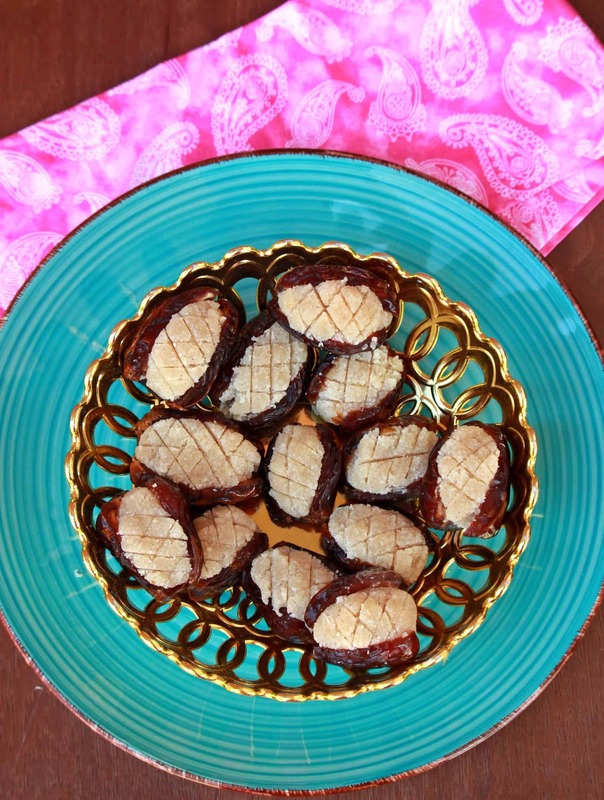 Stuffed dates look amazing and love the pattern you made on almond paste. 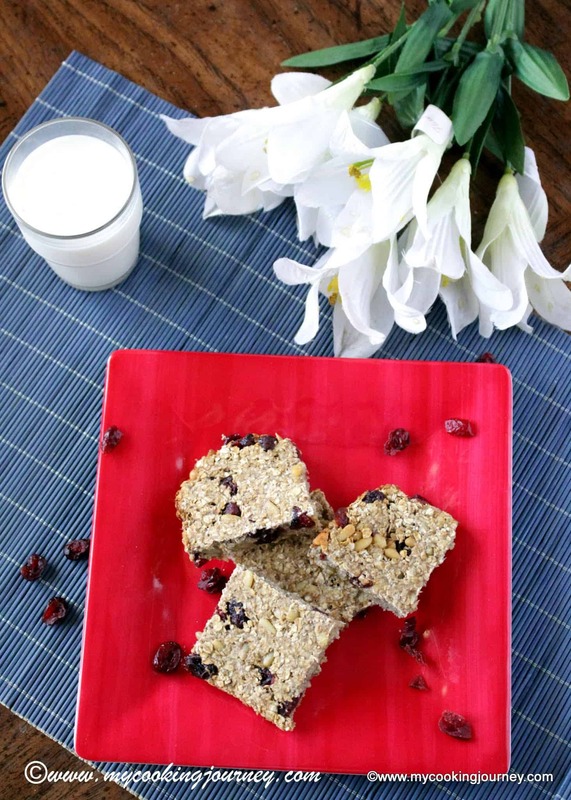 These look so good, Sandhya. Sounds like a decadent treat. 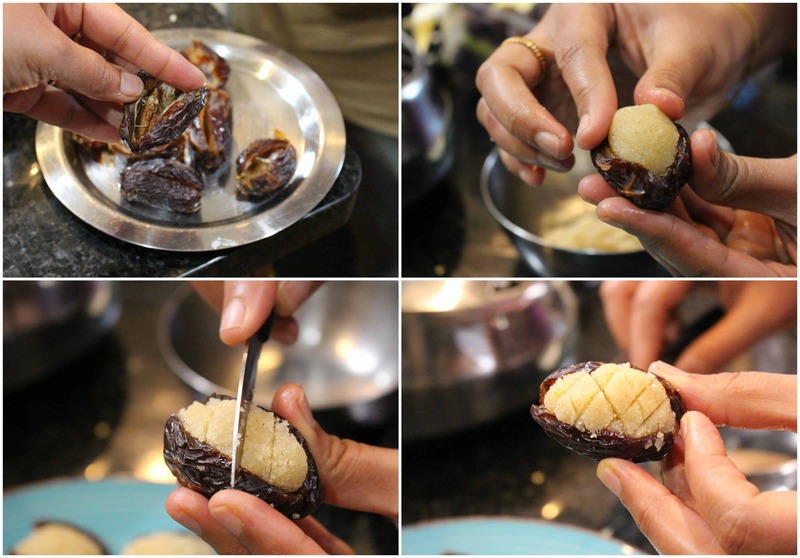 And this stuffed dates are seriously fabulous Sandhya, and delightful edible gifts..And that pattern rocks. I saw these in a store and was reminded of your post 🙂 Amazing edible gift for sure. 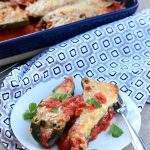 I used to make a restaurant and we used to make this but with a pistacchio paste instead – they were so delicious but so sweet – I am sure these were the same! 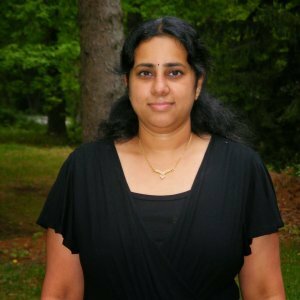 Those stuffed dates sound absolutely delicious Sandhya. Love the almond stuffing.